The Rotary Club of Bombay has inaugurated its fourth Jal Jeevan Centre in Mumbai. The Jal Jeevan Centre, installed at Sathe Nagar, Govandi, Mumbai is under a global grant project of the Rotary Foundation in association with Rotary Club of Detroit and Eureka Forbes Institute of Environment. 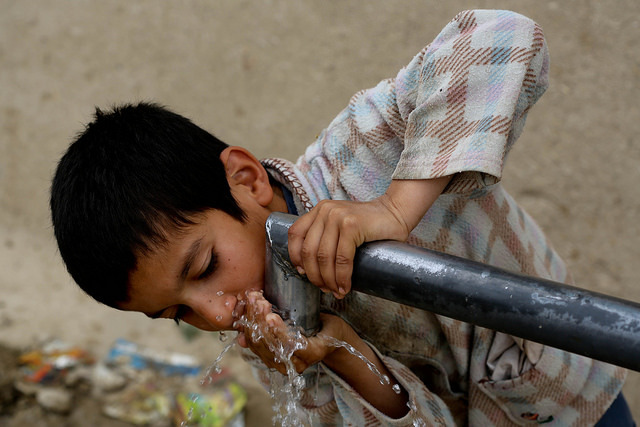 The purpose of the Centre is to provide clean and safe drinking water. The residents of M-east ward of BMC which comprises Mankhurd, Govandi, Shivaji Nagar and Deonar areas, lack basic amenities. The residential colonies, mostly slums, have unhygienic conditions with no proper sewage lines. Seven out of every ten residents do not have piped water. Along with low literacy levels, the unemployment rate in the M-east ward is 52%. Close to 49% households have to borrow money on high-interest rates mainly for health-related expenditure adding to their economic misery. With the Jal Jeevan centre, the residents of Sathe Nagar will benefit by purchasing drinking water at a subsidized rate of at 50 paise per litre in transparent plastic jars of twenty litres. The plant will be run by a Self Help Group of women who will also supervise the operations of the water filtration units and earn a monthly income using a social business model. In addition, the profits from the sale of water will be used for betterment of the local community for purposes such as water and sanitation, as well as economic development. Between June and September, the south west monsoon rains lash the city. The city also receives pre-monsoon showers in the month of May and occasional north-east monsoon showers occur in October and November. Yet after the Brihanmumbai Municipal Corporation (BMC) made it mandatory for new buildings in the city to have their own rainwater harvesting systems, only one-thirds have installed it. Every year Mumbai suffers from water crisis. The civic body also has no mechanism to find out if whether those who have installed the rainwater harvesting system, actually use it or not. Water deficit in the city, leads to significant water cuts and limited water supply. Another reason for this is that Mumbai still largely uses filtered, chlorinated drinking water to flush, instead of using sea water.